I really liked the format of this book which switches between the perspectives of Gabie, the girl left behind to try and come to terms with the fact that not only is her work friend missing but that she was the target, Drew, another work colleague and the only person who knows what the attacker sounds like, Kayla, the victim and occasionally the sinister perpetrator. Interspersed with the alternating viewpoints are transcripts of emergency services phonecalls, police reports and scrawled notes, all of which contribute to the authenticity of this book as a great example of crime writing. I enjoyed the development of the relationship between Gabie and Drew as they are united in the misery of Kayla’s disappearance. Although the combination of a privileged girl and a disadvantaged guy has been played out more times than I can count, its pretty easy to understand why these two would seek solace in the only other person they think can understand. This is a precisely plotted book that clips along at a relentless pace, so much so that I felt like I was racing myself towards the end. 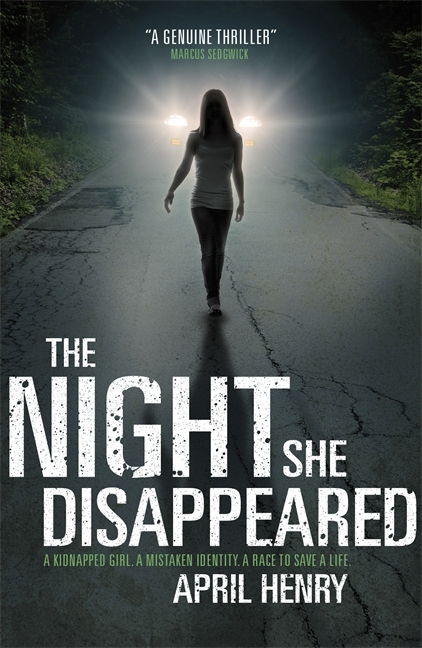 It’s interesting as the story develops to see not only the traumatic implications of the events on those at the centre of the story, but the impact that Kayla’s disappearance has on the wider community. There are some nice observational details around the way the media and local residents deal with the tragedy, particularly when the pizza place that the teenagers work at becomes notoriously popular. I would definitely recommend this book to anyone looking for a thrilling read even if you haven’t read the crime genre before, ‘The Night She Disappeared’ would definitely serve as a great introduction. This is also the kind of book where you can easily imagine yourself in the position of the characters, how would you feel if your co-worker disappeared but you knew it was actually you they wanted? A gripping read that leaves you with plenty to consider afterwards. Thank you for that Hayley! I got this through for review and haven't got round to it yet, I keep meaning to read it though as I enjoy the crime genre and like Hayley I don't think there's enough of it in YA. Now I've read this review I'm even more keen to give it a go!